The story: Right on the cusp of Thor’s ascending to the throne, Asgard is attacked by Frost Giants, and Thor’s hotheaded response leads his father, Odin, to banish him to Earth, strip him of his godly powers, and take away Mjölnir, his magical hammer, binding it with an enchantment that allows only someone worthy to pick it up. His brother, Loki, discovers he was adopted and is actually a Frost Giant. 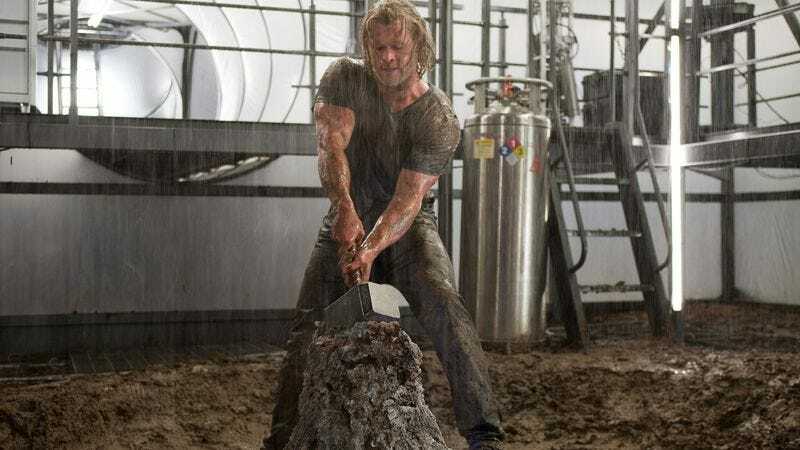 This leads him to trick Thor into thinking he’s banished permanently and to take the crown when Odin falls ill. Thor defeats the machine sent to Earth by Loki to kill him, and by sacrificing himself, proves his worth, thereby regaining his powers and hammer. Despite having fallen in love with scientist Jane Foster, he returns to Asgard where he defeats Loki, but in doing so, destroys the rainbow bridge that allowed him to travel to and from Earth and the other realms. Noteworthy events: At the end of the film, the destruction of Bifröst Bridge also sees Loki disappearing into space, seemingly lost forever. The post-credits stinger reveals that Loki has somehow managed to survive, and is learning about the discovery on Earth of a powerful item, the Tesseract.